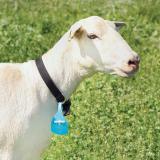 Use for connecting Bells and Neck Tags to the necks of sheep and goats. 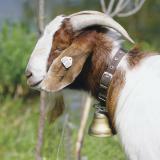 Use with our Steel Bell, Ram/Billy Bell, Swiss Bell, Long Distance Bell or Neck Tags. 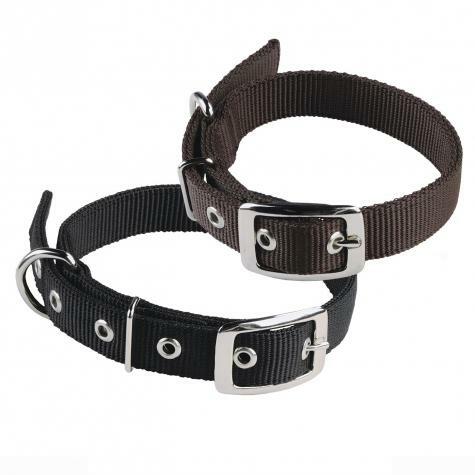 These collars are strong and durable... a great value! 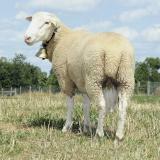 Nice strong collars and we are pleased by the quality. 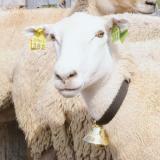 I like to put bells on my sheep because the sound is very nice. The holes on these collars have grommets making them easier to take off. A collar with just a hole is extremely difficult to take off. 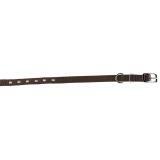 I had originally planned on using large dog collars, assuming they would be less expensive. Wow, I was wrong about that. Collars at Petco and PetSmart have really gone up in price. Then I discovered these, saw the price, and assumed they would be flimsy, as they are so inexpensive. Wrong again. These collars are great. Super heavy duty without being too rigid. Lots of holes for adjustment to fit any size, and each hole is reinforced. You don't see that in most dog collars. The buckle itself is very strong, and you don't have to wonder if you latched it properly like with the modern plastic couplers, which can sometimes come apart. 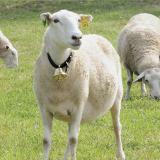 There's a flat bar after the buckle to keep the extra length from backing out, and a sturdy ring that is large enough to attach a lead rope clip, but not large enough for a curious newborn lamb to get her foot stuck in if she's pawing at the ewe's neck. Other than limited color options (which I can live with), there's nothing negative about these. Well designed, sturdy, inexpensive.